Lately it’s been rainy and stormy in Honolulu. I really don’t know what to wear these days. One day it’s cold, the next, I’m dying in the heat. Make up your mind mother nature! 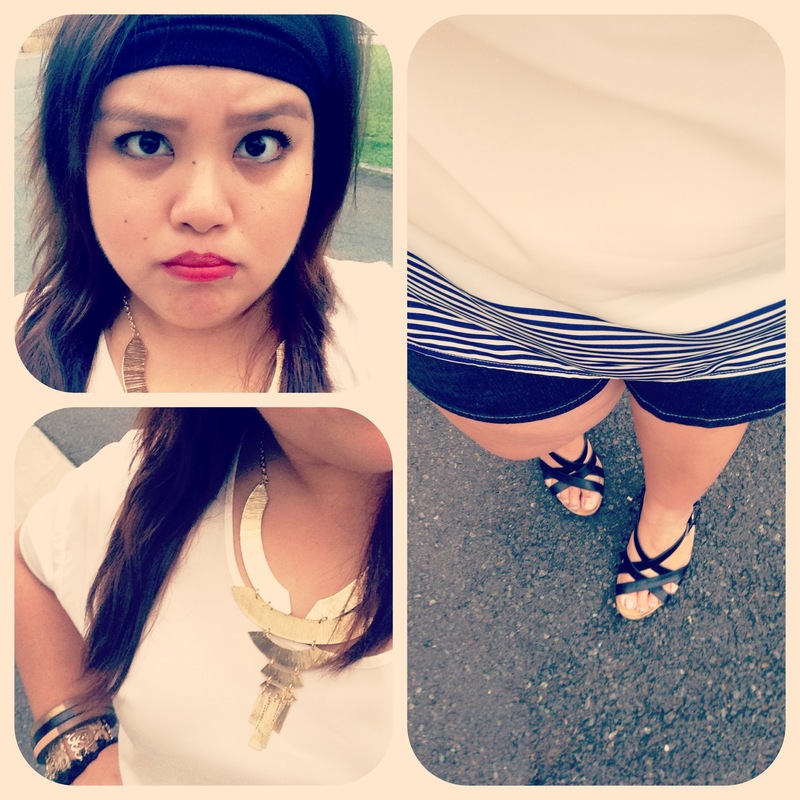 I took this photo outside my house before heading to a birthday dinner. You can never go wrong with shorts and a tee – just make sure you dress it up a bit. All accessories – eBay. Comfy sandals – Aerosoles. Headband – Etsy. Last Thursday, I had the chance to stop by Art & Flea at Fresh Cafe on Queen Street. I must admit this is the best night I’ve had at this particular event (even though I stayed less than an hour). My boss set up shop and marketed her beautiful jewelry. 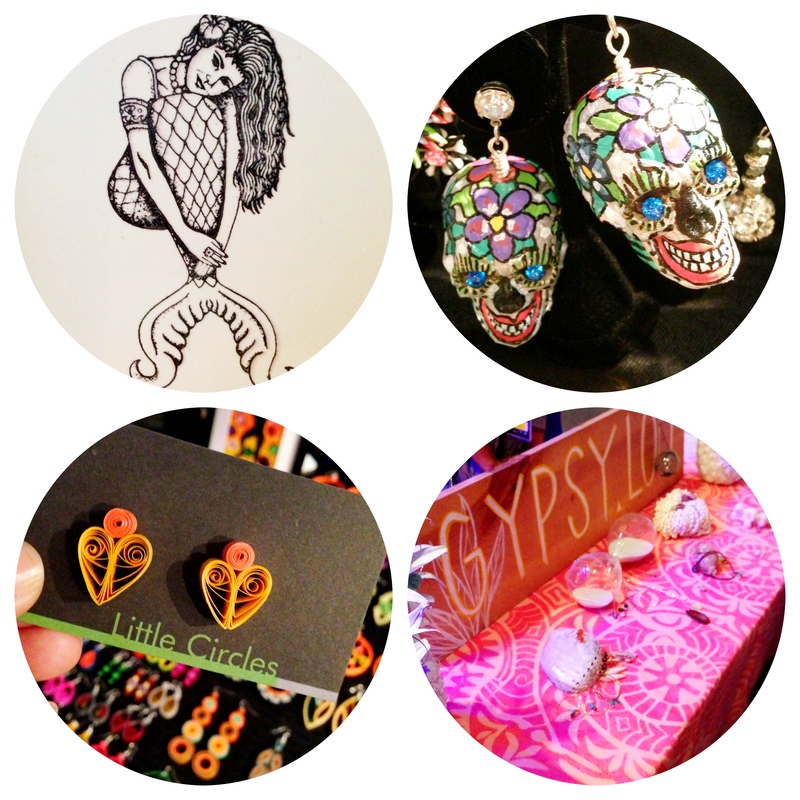 A few of my fave items from that night were the hand-painted mermaid tiles, and the Día de los Muertos earrings. 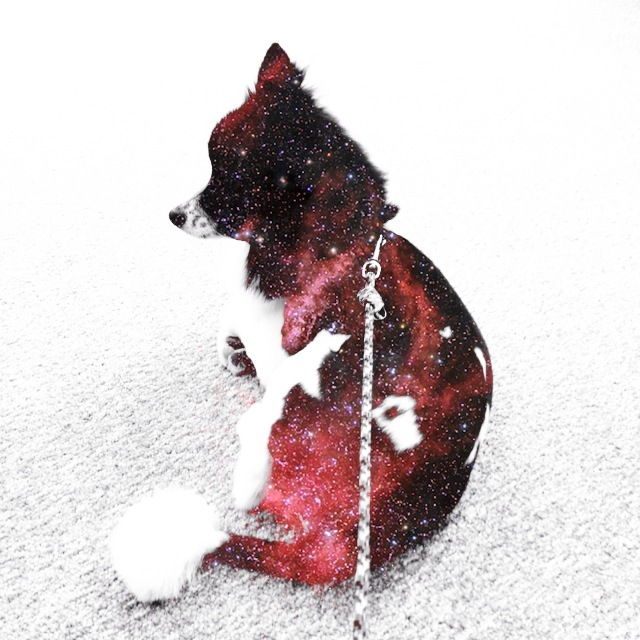 Este es “El Jefe.” I used this pretty galaxy app to change him into a galactic creature. Isn’t he cute?